"The goodness in your life is so much a part of you that you can easily take it for granted and rarely give it a second thought. On a regular basis, though, it pays to think about that goodness. 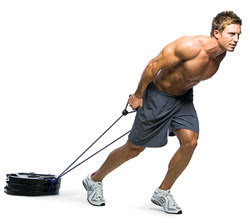 "Every great 'trainer' will have a philosophical approach to training their clients. They have a reason for everything they do. The average trainers look in the book and see pictures of a few exercises and have their clients doing them without really understanding why." 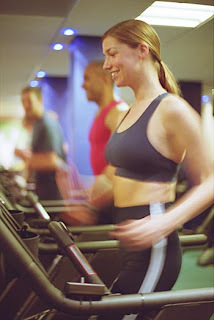 -Most people are aware of endorphins being released in the body during exercise to improve one's mood. However, two other compounds are also released. Serotonin keeps us from getting depressed and dopamine keeps us motivated. These morphine-like compounds prove exercise to be the best drug on the market. Best of all, it's free! 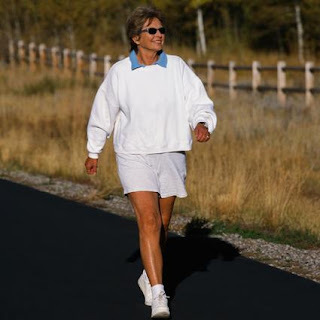 -Exercise improves sleep patterns as well. Stress hormones (i.e. cortisol) and anxiety are each reduced, contributing to a better night's sleep. 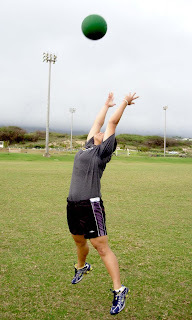 -Engaging in regular physical activity improves one's self-image. Boosting your self-esteem leads to higher levels of confidence, something many people could use. Last weekend, I was invited to participate in a fitness challenge for charity at the Acton Indoor Sports Complex. The event was set up to raise money for Franciscan Hospital for Children. There were 4 divisions, each separated into men’s and women’s sub-divisions. Teams were comprised of 3 people, and each team competed in 5 events (standing broad jump, medicine ball reverse scoop throw, weighted rope pull, sled push, and an obstacle course). The latter had 3 phases to it, so my team strategized who would do which leg of the race. Not only did I have a great time, but my team won 1st place in our division! I’m looking forward to defending our title at next year’s event. We had a great workout, met lots of enthusiastic and positive people, and raised a lot of money for charity. All good things. Is it really true? Did my beloved Celtics actually acquire one of the top 5 players in the league this week to complement Paul Pierce and Ray Allen?!?! I still can't believe it's true to be completely honest. With all that's happened to this franchise over the last 20 years, I had no idea when the curse would be lifted. 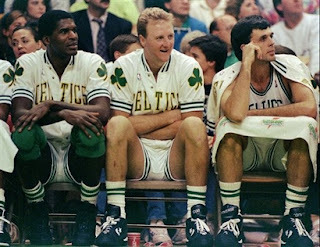 Maybe this move signals it has (Yes, I firmly believed that like the Red Sox, the Celtics had a curse placed on them for some reason). I know one thing- Red is smiling down on us because you know he would've LOVED this trade. 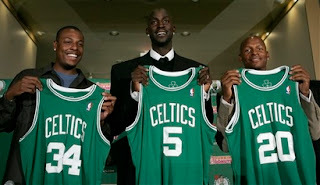 Here's to a successful '06-'07 Celtics season.